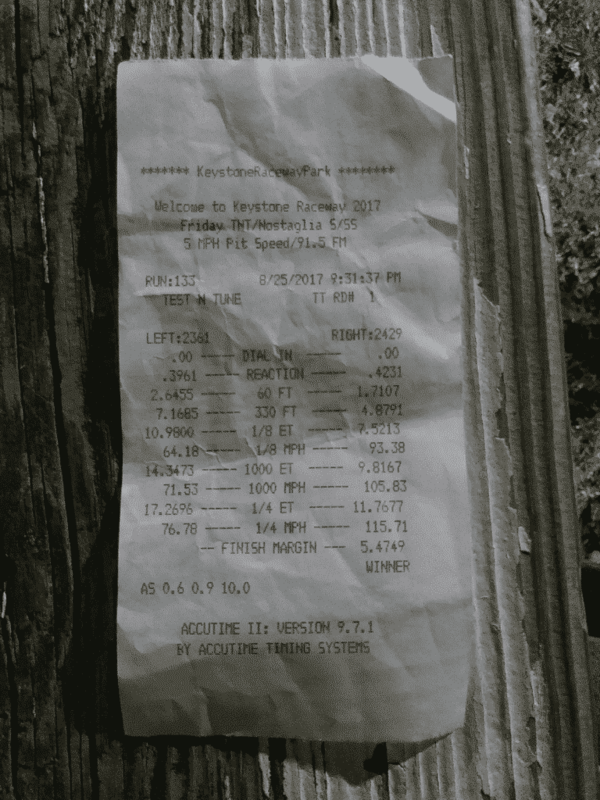 May 13, 2017 was the day the First F150 Ecoboost ran in the 11’s. On August 12, 2017 that record was broken with a [email protected] mph! 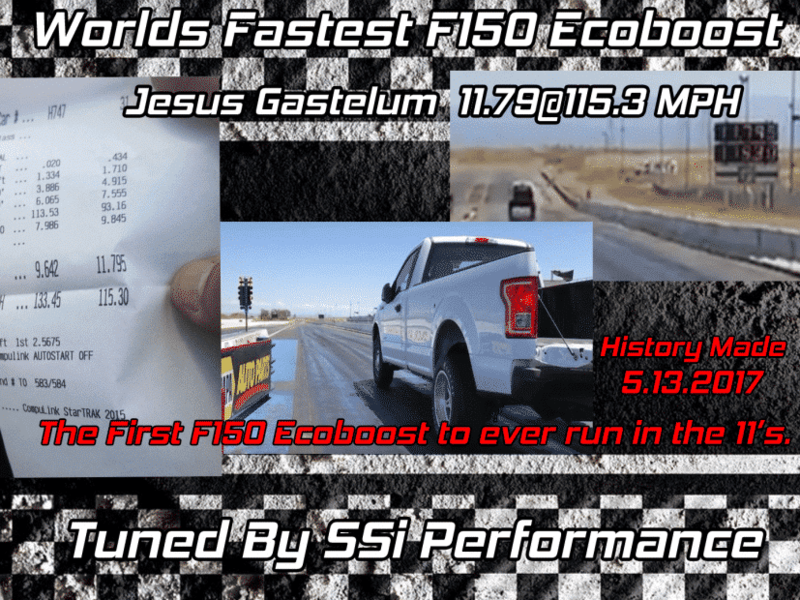 The Worlds Fastest F150 Ecoboost is SSi tuned! 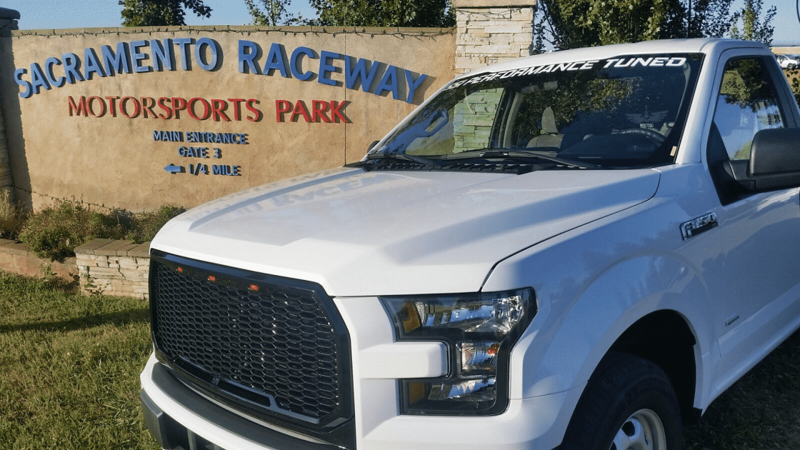 A Huge Congratulations go out to Jesus Gastelum and Luis R for their record smashing F150 ecoboost racing time run at Sacramento Raceway. We all knew we would be fast however, how fast? was the question. Additionally, the thought was 11’s, however we didn’t know how deep into the 11’s we could get. Furthermore, they didn’t have the right wheels, so hooking up was a real concern with this 2wd F150 3.5 ecoboost. We boost launched at a minimal 1800 rpm. 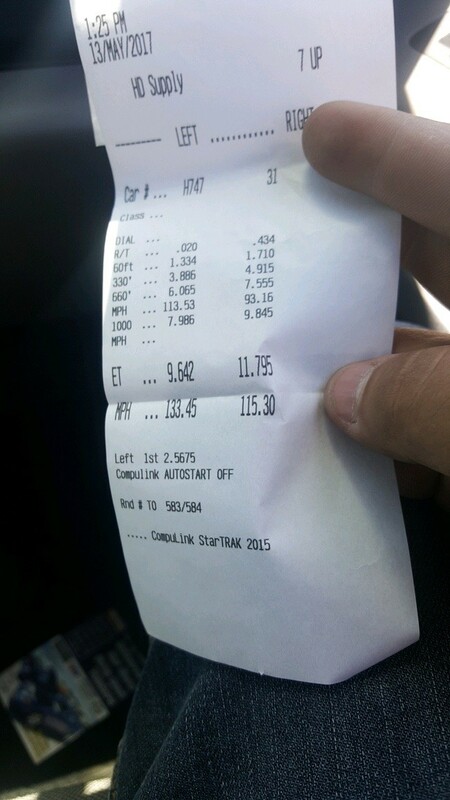 Finally, they will be adding a couple things more along with the correct tires for the next time out so we are figuring mid to low 11’s. Exciting times ahead! 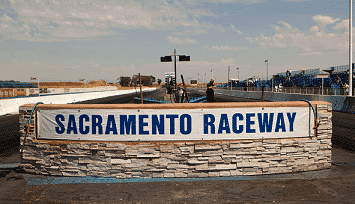 Be sure to follow us on Facebook and Instagram for updates. Stay Tuned! 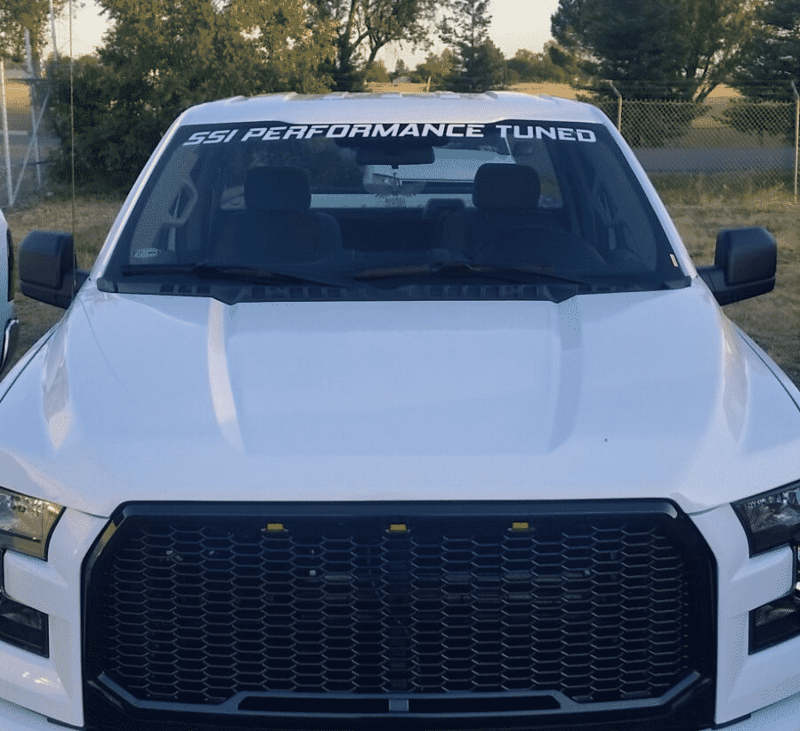 The F150 ecoboost racing scene has really started to explode over the past couple of years. 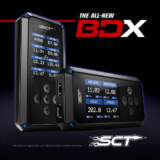 This platform really allows for some serious, efficient power and the drive train itself helps immensely. 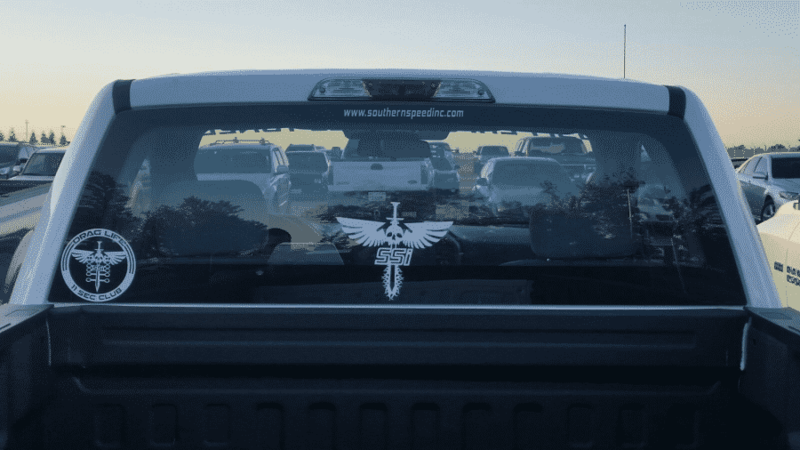 With the proper tune dialed in, this heavy truck is running faster times than brand new corvettes. 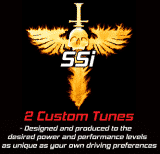 you simply must use an SSi tune.